With any new technology, it takes time for business benefits to accrue. Robotic Process Automation (RPA) is no exception. However, RPA has the potential to deliver business benefits more quickly than many other technologies. The ease of designing robots and the avoidance of making deep system changes through integration has made RPA deployment much faster. Yet despite this, organizations seem to struggle with the time it takes to identify use cases and translate them into deployable software robots. 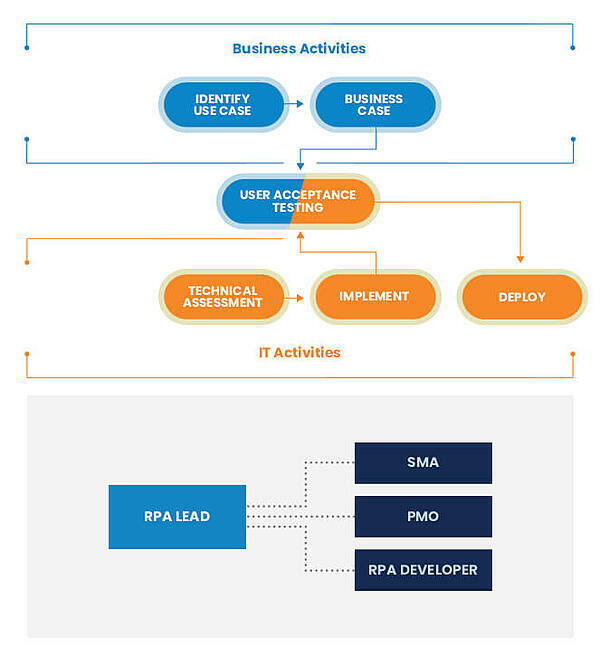 Typically, RPA activities are undertaken sequentially, which prevents communication and collaboration between different stakeholders. As a result, those stakeholders are unable to play an effective role in accelerating RPA deployment. Business users define the RPA requirements, prioritize use cases and underwrite business cases. On the other hand, the Information Technology (IT) department assesses the technical suitability of RPA use cases, designs and deploys robots. To overcome this perpetual source of frustration amongst various teams, organizations must adopt a more flexible approach to accelerate RPA implementations. 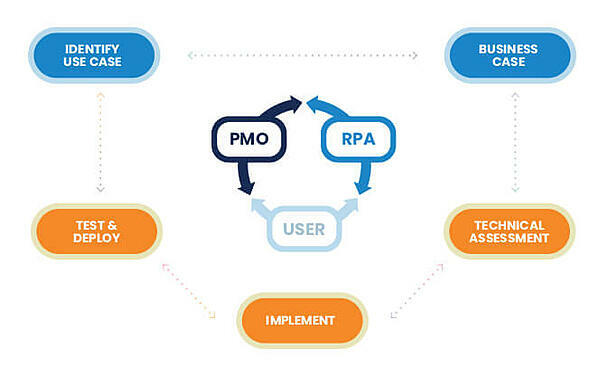 Dual mode operation, devops, and the dynamic systems development method are some of the techniques that can offer organizations greater agility in rapidly expanding RPA implementation. This new way of working ensures that at every activity of the RPA lifecycle, communication and collaboration happen continuously between all the stakeholders. Continuous communication and collaboration also require a centralized workspace (all team members sitting in the same office space) so there is no need to wait for responses from teams driven by internal operational-level agreements. As all team members are available to resolve problems at each stage of the RPA lifecycle, productivity is bound to increase. If organizations commit to making small structural changes to support the implementation of RPA, they will not be disappointed by the results. Many companies have employed the techniques I’ve laid out in this post and have succeeded in rapidly translating potential RPA use cases into viable robots that yield instantaneous business benefits. Apart from the business benefits, RPA adoption is given a powerful jolt because organizational inertia and politics of bureaucracy are kept to a minimum. This is a guest post by Abid Mustafa. Mustafa specializes in RPA, Robotics and AI. He leads Business Cognition and Excellence at Etisalat, MENA region.